There’s always something special about games that are set in Asia’s top cities, especially Japan’s Tokyo and China’s Hong Kong. The sheer class, grit and style of culture makes for invigorating story lines that when accompanied by entertaining gameplay, can bring together a very successful experience for gamers. 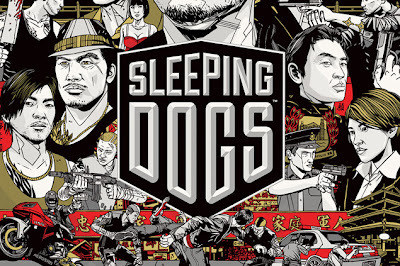 Fortunately Sleeping Dogs is a shining example of a video game project that while not excelling in the varied gameplay elements within, still doing enough to make the gunplay, melee combat, driving segments and open-world roaming thoroughly enjoyable in their own interesting way. If you’re looking for something to tide you over until Grand Theft Auto V, there’s absolutely no reason why this trip to Hong Kong isn’t for you. 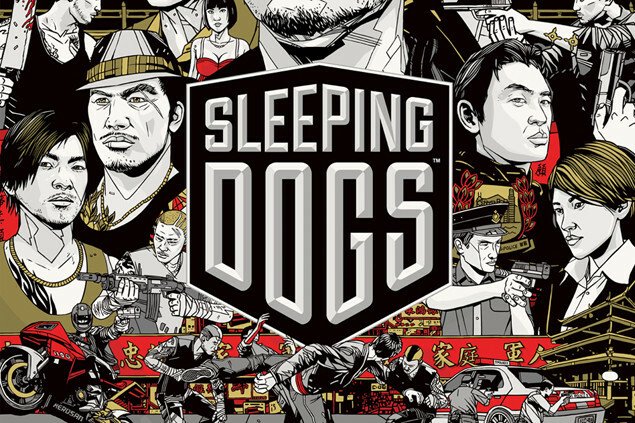 Sleeping Dogs tells the story of Wei Shen, a native resident of Hong Kong who after spending part of his life in America, decides to come back and take on a dangerous infiltration mission into Hong Kong’s deepest and most corrupt organisation. Wei Shen’s motives are of a typical revenge scenario and don’t expect anything out of the ordinary to happen in this story – Sleeping Dogs stays relatively safe with the pacing and progress of the story and uses wonderful cultural aspects to really keep you engrossed in the characters and events, as opposed to outrageous plot devices. While Sleeping Dogs’ story is quite tame, the action is certainly anything but. The first thing you’re introduced to is the combat system, which is very reminiscent of the Batman: Arkham games where combos and reversals are put together with strings of button presses and timed prompts. An excellent addition to your brawls is the impressive use of the environment to do serious damage. Sticking enemies’ heads into industrial fans, spiking enemies on swordfish and crashing bodies through aquariums are just some of the many awesome ways to take down bad guys. This is definitely one of Sleeping Dogs’ most enjoyable aspects and something you will have constant fun with by experimenting with the environment around you. After spending some time with the tutorial elements and getting used to Sleeping Dogs’ combat, you are eventually given the opportunity to explore the fictional adaptation of Hong Kong. We’ve seen countless open-world adventures in modern gaming and here is another example of a vibrant and hectic city buzzing with life. Hong Kong is a packed city and this is accurately represented with strangers going about their business and living their lives. Hours can be spent wondering the streets of Hong Kong and partaking in the cities’ available entertainment. There’s only so much milling about you can do before you’ll want to continue on with Sleeping Dogs’ story. You will be partaking in varied missions including getting behind the wheel and driving. Good driving mechanics give players an arcade style experience as you eventually begin shootouts, drive motorbikes and even outrageously jump onto the hoods of vehicles as you highjack cars in high-speed chases. It’s important to see developers give equal distribution to each element of their game to avoid any unbalances and by this point, both the combat and driving hold up well. So we’ve had great melee combat and enjoyable driving, well the final piece of this gaming triangle is the gunplay and shooting mechanics. Weapons are available but emphasis certainly leans towards hand-to-hand combat. There’s nothing particularly special or exciting here but a cool mechanic that allows you to run, disarm and use an enemies weapon in one free-flowing move is an awesome addition that keeps action moving at a high pace. This blending of melee combat and gunplay fit together well but obviously shows the emphasis towards hand-to-hand action. If this plethora of main content isn’t enough then fear not as additional content is present to keep things spiced up. Your handy police background gives you access to some cool gadgets as well partaking in silly mini-games like hitting the karaoke machine while undercover. These elements are all a welcome divergence from the main action and all help to keep things from getting stale and monotonous. Singing karaoke is not actually as pointless as it may first sound. It is one of the few ways to increase your ‘face’ level throughout Hong Kong, which leads to bonuses, unlockables and cool additional stuff in the game. If you find singing cheesy pop songs isn’t for you, then you can go out and help citizens with their life problems that normally include finding thieves, chasing down bad guys and other little side quests. Increasing your face level also gives you access to different clothes and accessories, so it’s worth putting in a little bit of time into this endeavour. There’s even an element of RPG in Sleeping Dogs as Wei can also earn cop experience and triad experience points. Doing different things like for example keeping citizen deaths down to a minimum or avoiding any damage to the city accumulates these. The cop points increase Wei’s skills with guns while triad points hone his melee talents – with additional moves and abilities also scattered through Hong Kong. Those of you lucky enough to pick up the Limited Edition pack will even get access to UFC superstar George St. Pierre’s martial arts costume when you do battle! Ultimately Sleeping Dogs is just a fantastic example when everything across the development board is good. If you’re looking for phenomenal melee combat, driving or shooting mechanics then this is not the game for you. If you’re looking for an exciting open-world adventure encased in a beautiful city all the while performing the three aforementioned elements to a very good standard, then Sleeping Dogs is definitely a game worth your time. Sleeping Dogs is not a master class in melee combat, driving or gunplay, but it does a great job in giving you a fun experience in each of those genres. The melee combat is absolutely the highlight with excellent use of the environment to take down your foes but you won’t be disappointed with any of the effort put into this game, it’s just impressive across the board. Sleeping Dogs is not the best looking game on the market – plastic character models and hitches with presentation across the board can frustrate. Once you’ve made your peace with that however, you will find a glamorous city that makes up for lackluster visuals with one seriously awesome attitude. Fictional Hong Kong is buzzing with life and a well-told story makes your time with Sleeping Dogs incredibly entertaining. Fictional Hong Kong is a big place full of interesting people and quirky things to get involved in. While there’s no doubt that the main campaign is the best aspect here, you can get lost in the large open environment helping citizens, or gambling to your hearts content in illegal cockfights or poker games. Is it worth playing the whole game again, I think it’s that much fun that you just might give it another go because there’s no other sandbox games out there worth your while at the moment. Sleeping Dogs absolutely deserves a moment of your time. It’s that perfect kind of game that doesn’t take itself too seriously and with that, gathers the respect of the gaming community with gameplay that’s plain and simply, fun. A well-paced story accompanied by the sandbox triangle of melee, driving and gunplay gives gamers a nice mix of it all and to a very good standard. As a result Sleeping Dogs is definitely a winner in my book.